Welcoming all, Following Jesus, Growing together. Study groups and social events. We value peace, music and a structured service, while we practice a positive liberal outlook. We are a small congregation, typically 30-40, but have members of a wide range of ages, from families with young children to long established residents. Whether you’re looking to meet people, or just to quietly attend church, you’ll be welcomed here. We are applying for membership of Inclusive Church. In our weekly services (10:30am Sundays) there are children’s activities and a robed choir. We have study groups, social events, and plenty of tea, coffee and chat! We seek to grow as a community through Jesus. Mission page. What happens in a service? 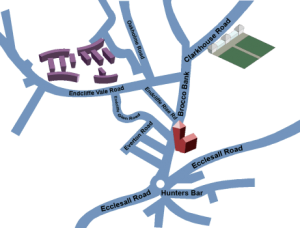 Wheelchair access, toilets, disabled toilet, baby change, all at the main entrance. 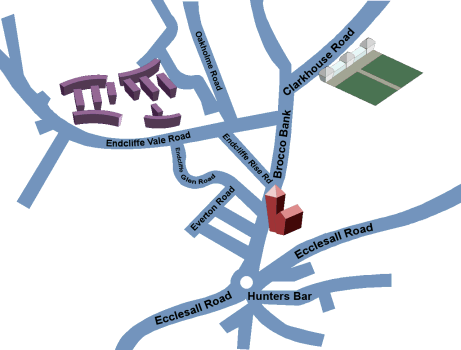 We are the Parish Church for the areas along Ecclesall Road as far as Hunter’s Bar roundabout and around Endcliffe Park. St. Augustine’s is a member of the Central Mission Partnership. St Augustine’s is committed to high standards in the safeguarding and care of children, young people and vulnerable adults. 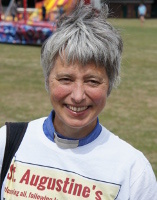 Our safeguarding officer is Viv Smith, and our Parish Safeguarding Policy can be read in full here. Maunday Thursday 18th April. Agape Service 7pm. Good Friday at St Andrew’s, Taize 12-3pm. Easter Sunday Sunday Eucharist led by Mike West. 10:30am Sundays. Followed by tea and coffee. 1st Sunday of Each Month – Morning Prayer led by a rota of readers, with hymns, sung canticles and a sermon. 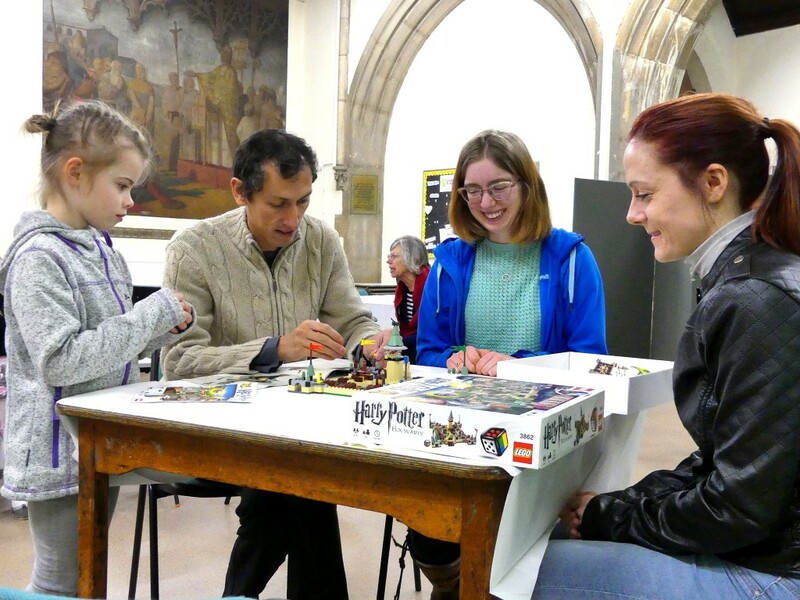 For the children, Godly Play takes place in the church hall. 2nd Sunday – Family Eucharist – All Age worship, with a simpler service to give children a greater role. There are activities for everyone, children and adults, in the first part of the service. 3rd, 4th, 5th Sundays – Parish Eucharist – We celebrate the Eucharist using Common Worship with hymns and a variety of sung settings of the service. Christenings, Weddings and Funerals – We are always happy to be a part of your special events. Please contact either Claire Dawson or Mike West. St Augustine’s hall is approx 60ft x 40ft (18m x 12m) and has a well-equipped kitchen. Further details here. Claire Dawson. Priest in Charge since 2017. "Thank you for everybody’s warm welcome to Sheffield. I have previously worked in North Nottinghamshire, Derby City and Liverpool and was ordained for ministry in 2004 having previously worked as a social worker. I am looking forward to appreciating what the city and the Peak District have on offer and also getting to know people. I have a passion for the outdoors and climbing mountains and am also currently studying for a Doctorate of Professional Practice in urban ministry. I hope that both of these passions will help give life and sustenance to my ministry here in Sheffield." Mike West. 30 years as Industrial Chaplain, 50 years of ordained ministry, Mike has dedicated his life to contributing in many ways to the coming of God's Kingdom. Eileen Turner left us at the end of 2017 to be closer to family. Eileen was teacher at Thornbridge School, before turning to Theology, adult education and parish ministry. Many thanks for her service to St. Augustine’s! We wish her well in London. Maureen Fisher, A longstanding member of St Augustine’s. I have been a member at St Augustine’s since the day I was born (and that is a long time ago!!). I was christened, confirmed and married in the church and both my children were christened there. Having travelled around the globe for many years I finally returned to my roots in Sheffield, back to good old “gussies” and the church family who had never forgotten me. I really appreciate the warmth,support and friendship of its members along with the varied forms of worship incorporating glorious music. I also lead the group of flower arrangers, and we are proud of the way we can add to the natural beauty of the church. I am Matthew Zang, from Nanjing in China, studying for an MSc in Control Engineering 2014/15. My friend Echen recommended me to go to St Augustine’s Church. The friendliness and hospitality of the people in St Augustine is especially impressive. They initiate the conversation with me and invite me to join various activities. I am treated as their friend, even though I cannot speak English fluently. I was pleasantly surprised when Echen and I were invited to go to 5 local families to join their dinners, then to learn a chapter of Bible together. All of these make me love this church so much.